Walk Across America for Kids? Unless...you enlist a community of supporters to do it together!! In an effort to raise awareness and financial support for developing medical devices and products for the unmet needs of children, DesignWise Medical (DWM) is organizing this 1-day event on Thursday November 13, 2014 (Give to the Max Day 2014 - GTMD). This walk will demonstrate support for those children and their families that suffer 24-7-365 with illness or disease by collectively walking/running the equivalent of crossing America within a 24-hour period - 3792 kilometers (2356 miles). 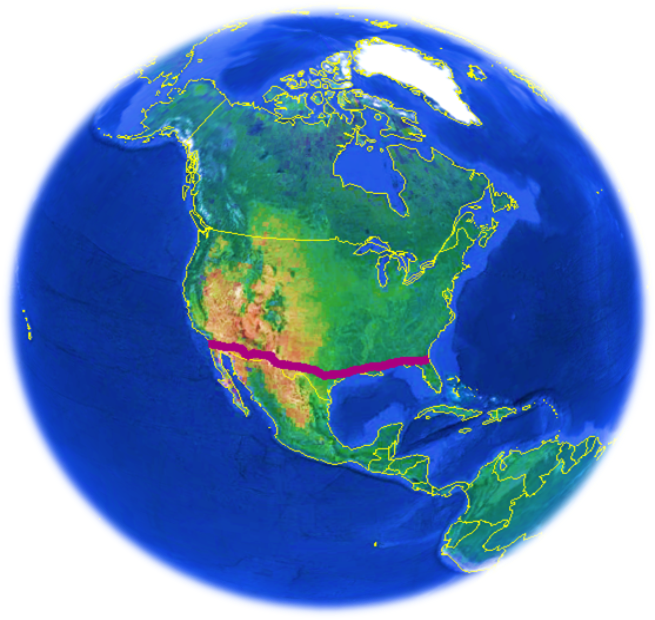 For the 2014 GTMD, DWM Board of Directors will match all donations $ for $ up to $3792 (the distance across America). There is no cost to join this 24-hour Walk Across America for Kids but this event is part of our Give to the Max Day fundraising effort so we would greatly appreciate your financial support in addition to your walk support. Please visit https://givemn.org/organization/Designwise-Medical-Incorporated to donate to DesignWise Medical for the Give to the Max Day event. We have a matching fund available for any donors on that day. We will match dollar for dollar up to $3792. This matching fund was developed by the DWM Board of Directors. Do I have to walk to make a donation? Not at all. We need everyone’s support, including financial, to develop the medical products children so desperately need. Please visit https://givemn.org/organization/Designwise-Medical-Incorporated to donate to DesignWise Medical. 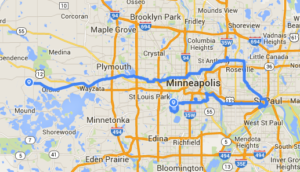 Do I have to live in Minnesota to participate in either the walk or the fundraising campaign? Absolutely not! Anyone, from anywhere who is inspired to help sick children is encouraged to participate in any way they can. We already have commitments to walk that day from China! Can groups do the walk/run together? Yes!! That is encouraged as groups can support each other and motivate each other to put just another mile or two in. All group members’ mileage is added to the grand total. The ‘selfie’ can be of each individual or the group as a whole. We will give special publicity to any groups of walkers/runners that participate. This would be a great opportunity for team building within a company. Does walking my dog count? Yes! We will even consider the mileage the dog(s) do on the walk/run in the grand total. Do I have to walk? Can I run? Bike? Rollerblade? We are restricting the activities to walking and running. We want this accomplishment to be 100% unassisted human powered (no bikes, rollerskates, etc.). Can I challenge a friend or family member to walk/run a certain amount? Similar to the Ice-Bucket Challenge, we encourage participants to contact their friends, family and co-workers and challenge them to complete the same number of miles or more that they are completing. We also encourage these challenges to be made prior to November 13th so everyone is prepared that day to put in the miles. Is there any coverage of this event by the press? Yes. At this point we will be interviewed by KARE11 TV on November 10th and will be promoted by the GiveMN organization. We are hoping for much more publicity as the date nears so if you have any media outlets that might be interested please contact us. Are there any notable participants at this point? The Rockford Elementary School in Rockford MN will have their entire school walk a mile for us on that day. That is over 500 children walking in support of sick children everywhere. Additionally, DesignWise Medical’s founder, Brad Slaker, is committed to walking 100km (~62 miles) that day as he did last year. It took him about 22 ½ hours to complete the walk last year. ©2014 DesignWise Medical Inc. All rights reserved.